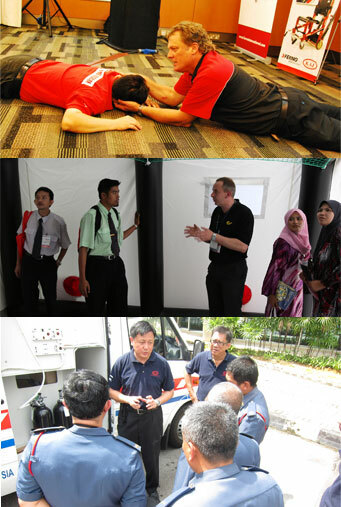 In realizing the importance of training in disaster response, KAJ RESCUE has further developed the training unit. The KAJ RESCUE Training Unit provides trainings on a regular basis in organizing skills-building programmes, seminars, workshops, joint exercise and overseas exchange programmes and others. We have been cooperating with local and international organizations in obtaining best training material to enhance our knowledge. Our expertise lies in Fire Operations Training, High Rise Operation and Evacuation, First Aid and Basic Life Support, Disaster Response & Relief Training, Emergency Patient Care, Spinal Immobilisation & Patient Handling and more.